This bright-filtered ale takes inspiration from both the new and old worlds of brewing. 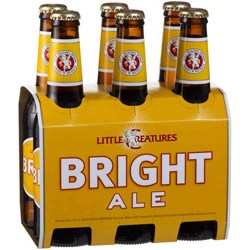 It may be a hybrid ale in origin, but think of it as the creation of a truly Australian style of ale. Hoppy, but not too bitter, it uses a whole bunch of hops from around the world to give it those woody, green, floral notes with a bit of bite. The malt is subtle to balance the hops and keep things refreshing.